As the founder and CEO of FM Home Loans, David is one of the mortgage industry's most distinguished and accomplished leaders. 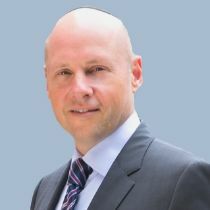 David is known for his professionalism, expertise, and leadership, and maintains a stellar reputation amongst both industry professionals, clients and company employees. In his 25 plus years in the mortgage industry David has steered FM Home loans through various market shifts and industry changes and has always successfully maintained the company’s level of service to its clientele. Most notably, through David’s efforts and ability to assess risk, the company is one of the few that survived the great recession of 2008 and has thrived ever since. David spends much of his spare time involved in helping others through his involvement with a number of charitable causes.